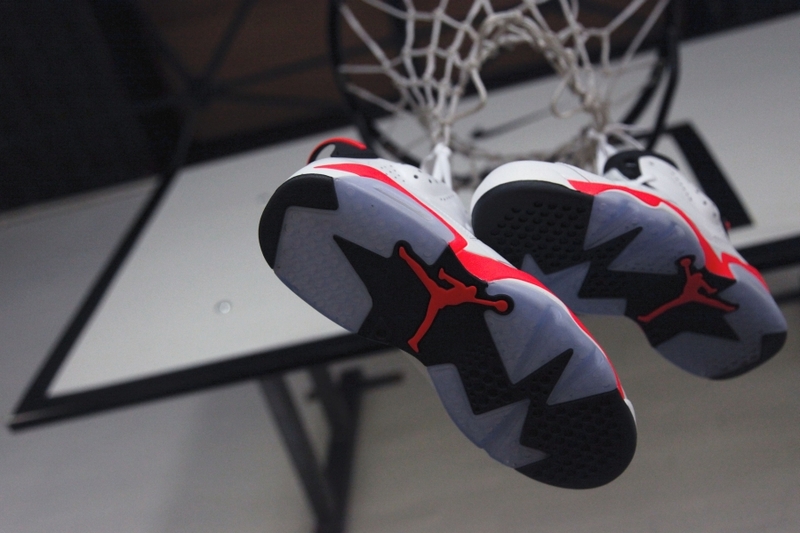 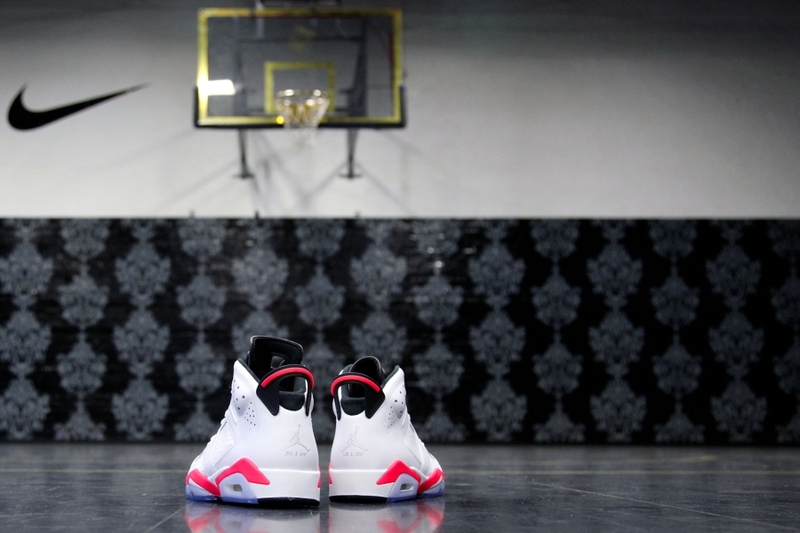 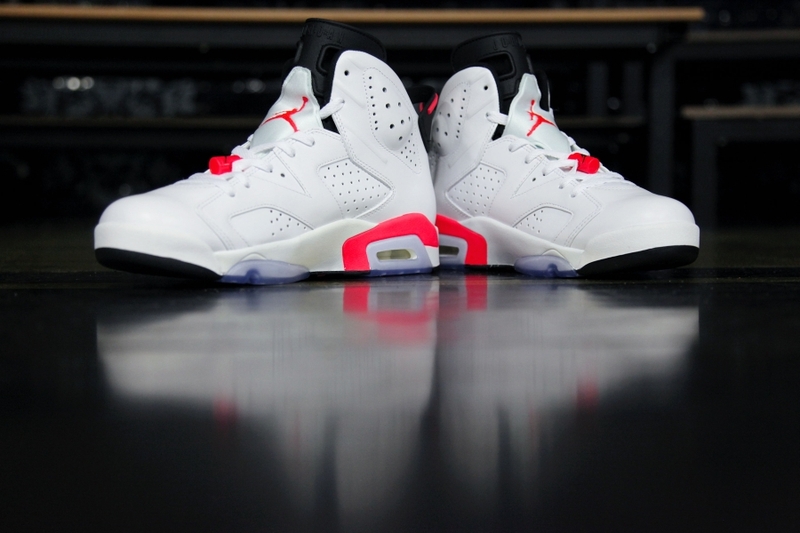 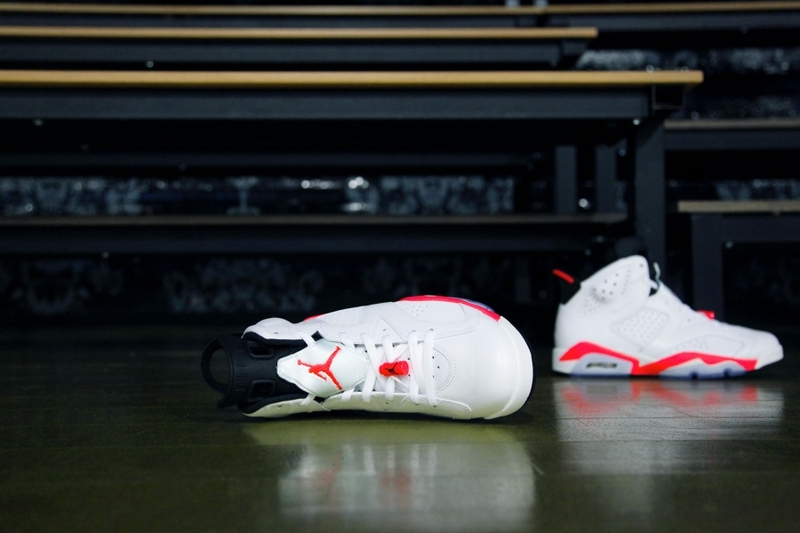 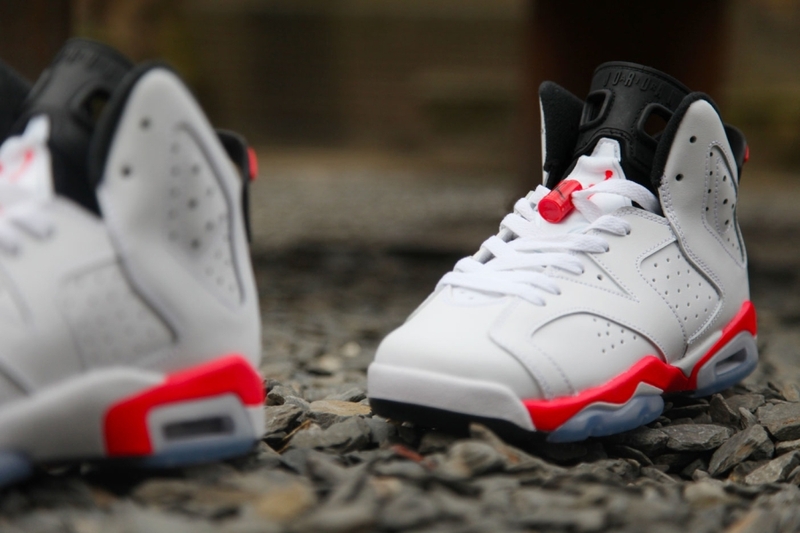 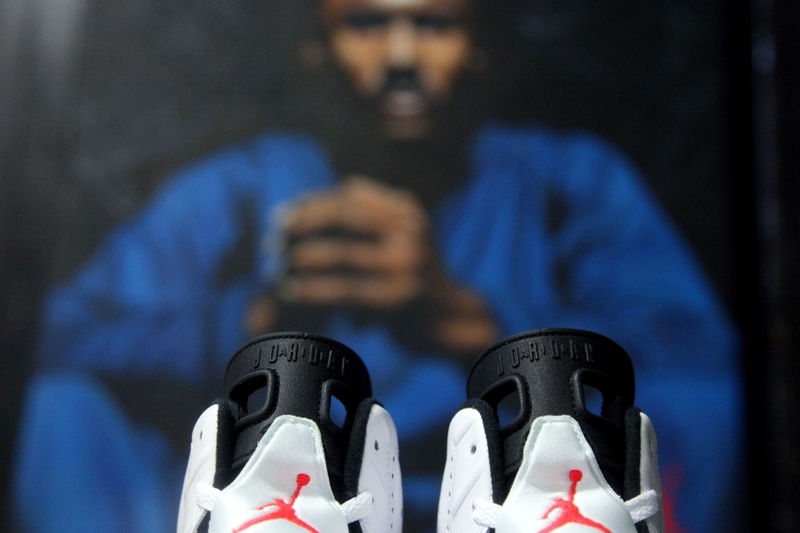 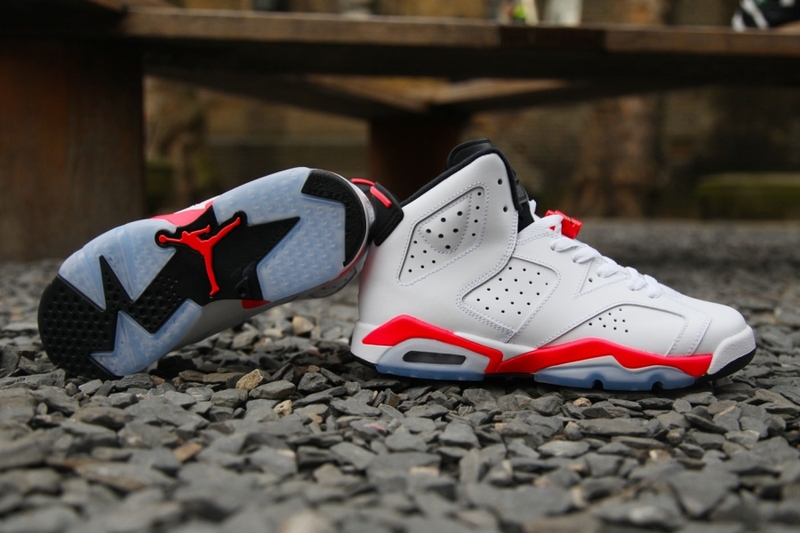 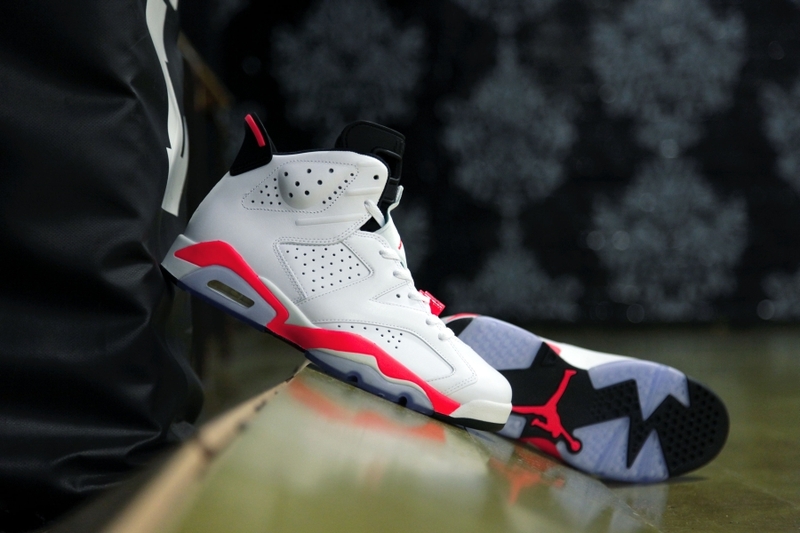 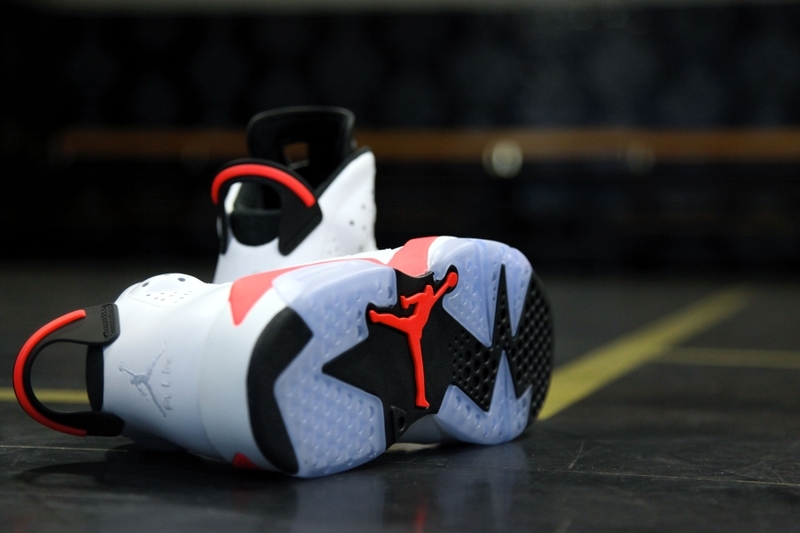 The Air Jordan 6 “White/Infrared” is almost here. 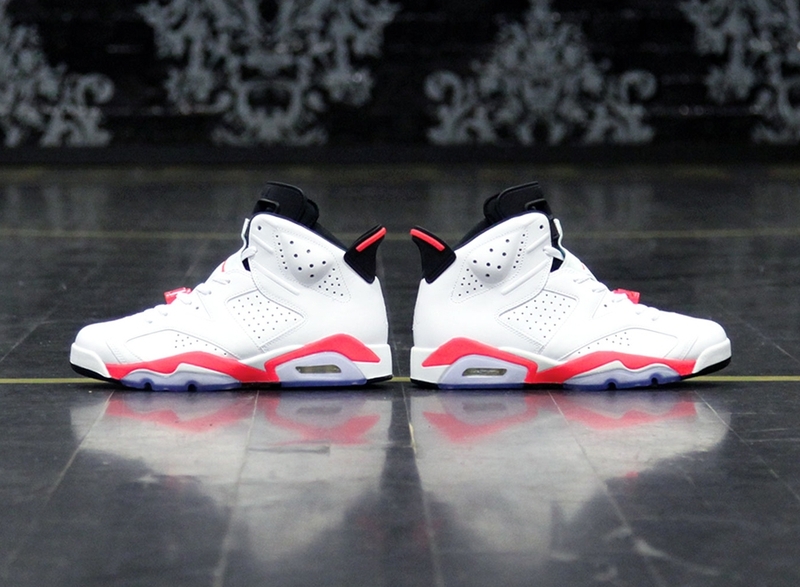 The shoe has been gone for four years now, with their last release coming during 2010’s “Infrared Pack” that had both these and the black/infrared version in the same two-box set up. 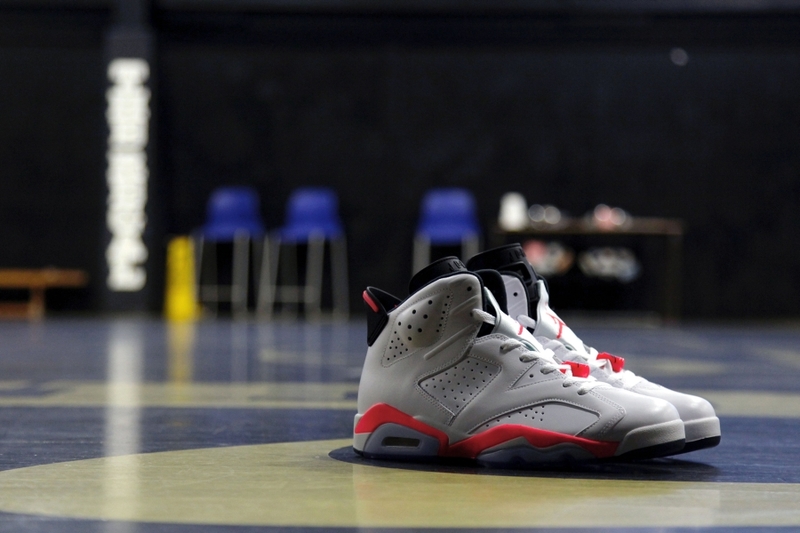 You’ll remember that 2010 in general was a year rife with Jordan 6 releases, and the pack in question was actually preceded by the likes of two very similar colorways that instead used Varsity Red. 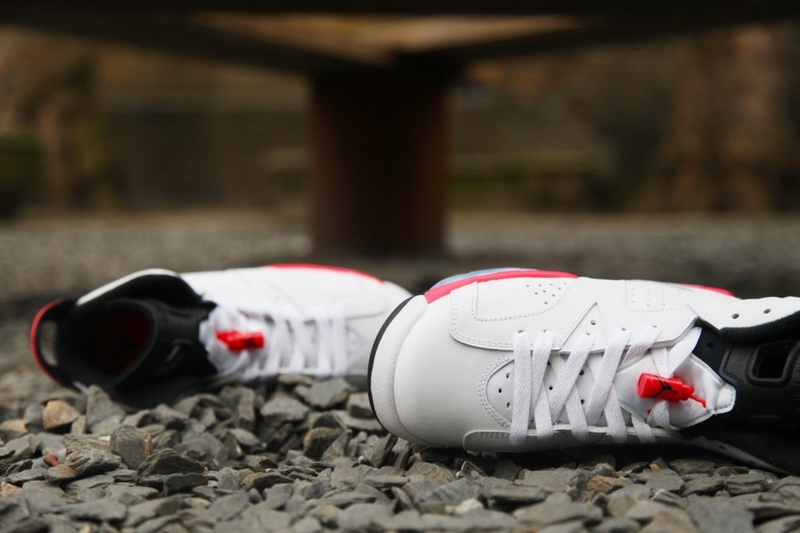 Interesting to note was that the white/Varsity Red among them was an outlet mainstay back then, and a good number of people that purchased the pack did so just to pick up the black. 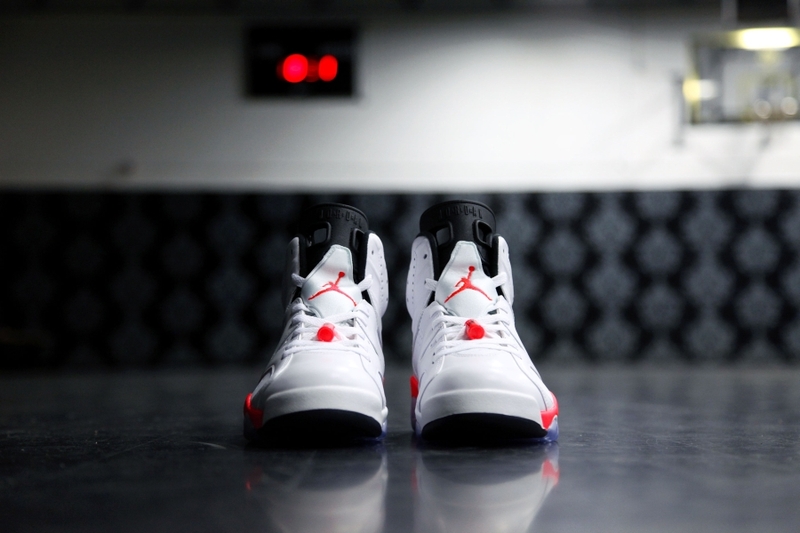 This time around you won’t have to split it though-as they’ll release this Saturday at retailers like Foot Patrol. 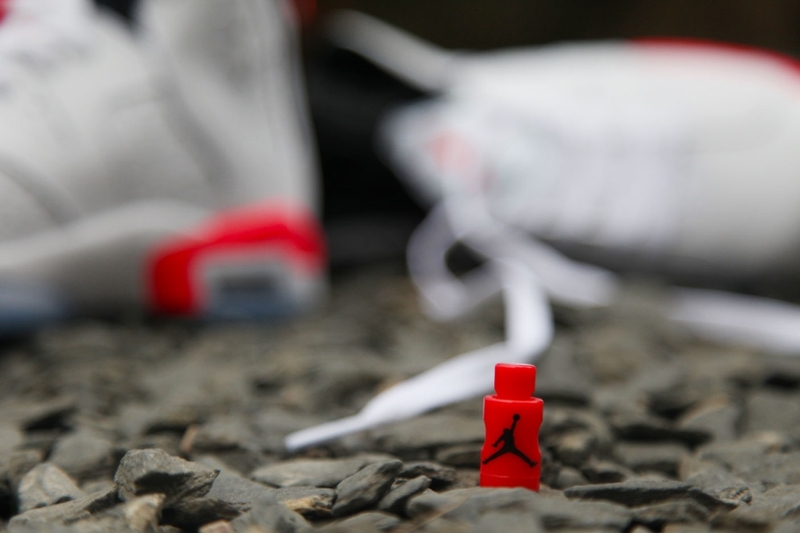 Continue reading for a full set of shots on the sneaker and remember that you can always scope out what’s already up for grabs on eBay.